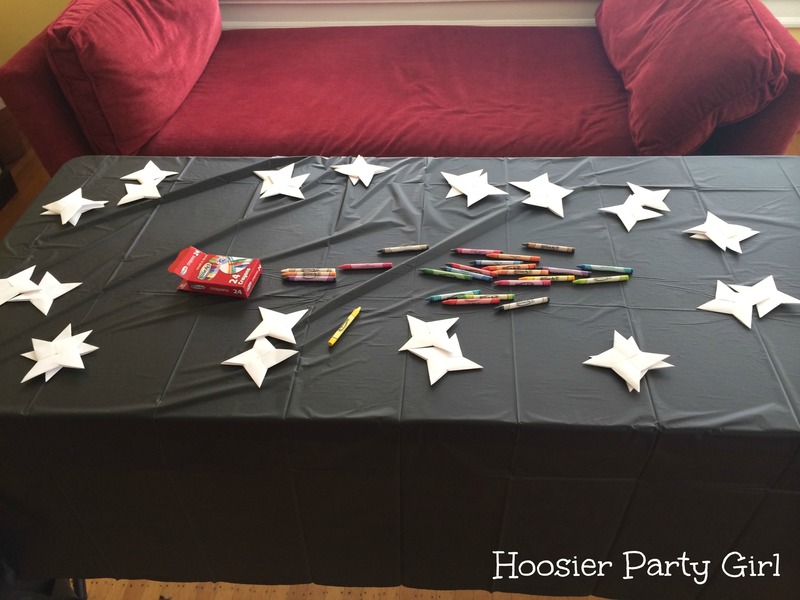 Activities are Essential at a children’s birthday party. Even with several things plotted, I still clearly needed more. Heather once put on a movie while the children ate which I should have learned from. I am generally opposed to watching and eating, but it probably would have rounded things out perfectly. One thing I did learn from Heather is to start out with a craft to keep the kids busy until everyone arrives. I folded close to 60 origami ninja stars for kids to decorate using the directions from Basic Gray. Simply coloring them probably was not intricate enough to keep them busy as long as I would have preferred. My tip is to use printer paper, cut half an inch from the long side to make the paper 8″x11″ then cut two inch strips across the paper in landscape, giving you five 2″x8″ strips per page (you will have an 1″x8″ strip left over). You need two strips for each star, so I cut two pages at a time. After decorating their ninja stars the kids got to practice throwing them (into a bucket). Since they were made out of printer paper, it was not an easy task. They each tried several times. 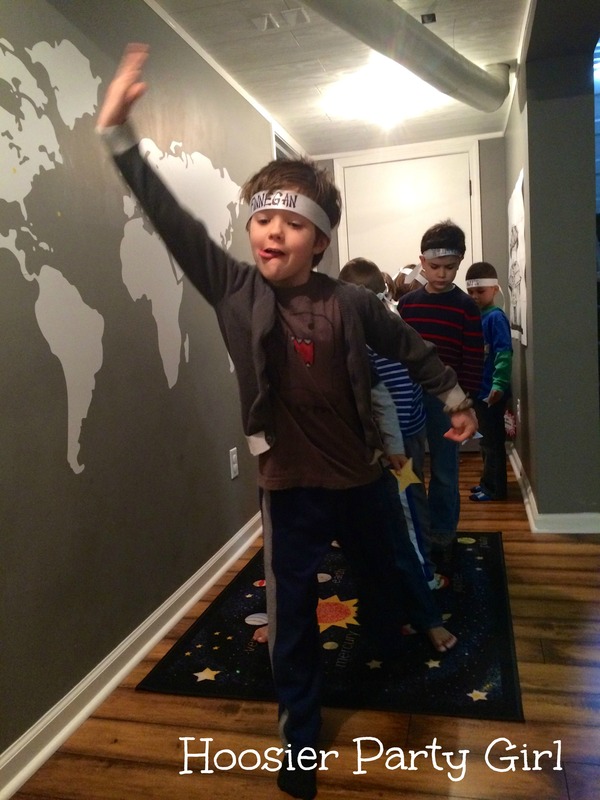 Next was the ninja obstacle course. 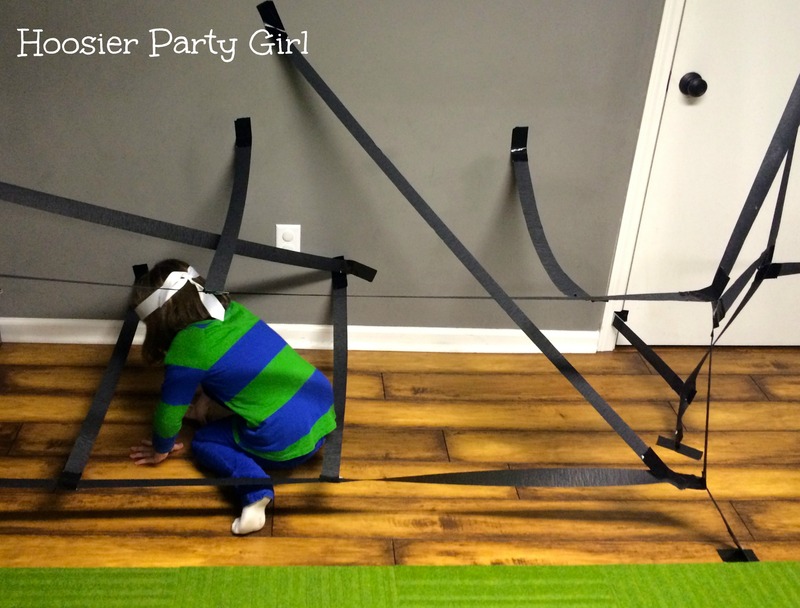 My brother taped crepe paper strips for the kids to crawl over and under. It was the perfect time to remind the kids that ninjas are stealthy and silent. They each took several turns before it all came down. 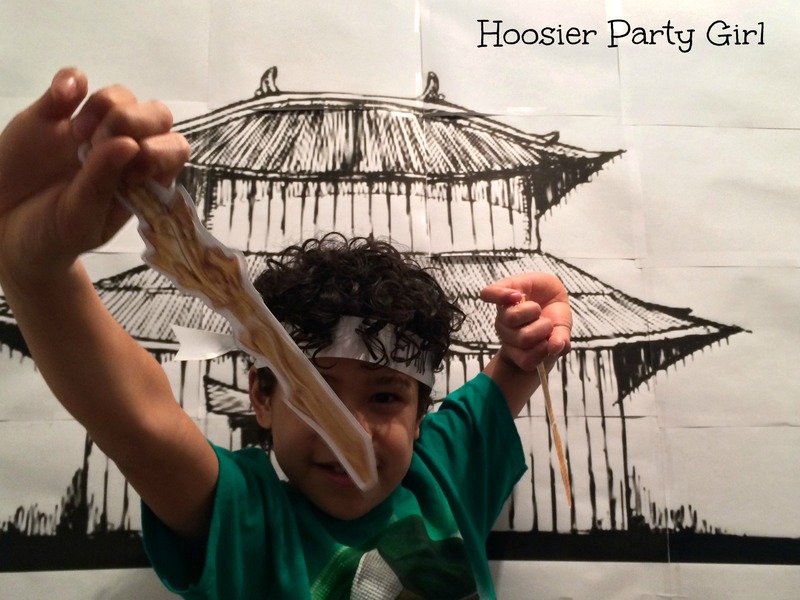 Next, we posed with the ninja photo booth using the Ninjago golden weapons props, signs, and Sensei Wu’s beard. I don’t really have the set up to print out photos for the kids as party favors which would have been super fun, but I did share all of the photos with their parents. I hope the kids love them as much as I do. I mean, how cute are these kids?! I also challenged the kids to chopstick races, picking up as many beans as they could with chopsticks in 30 seconds. My phone was busy with the timer, so I didn’t snap any photos. I got everyone their own bamboo chopsticks as another favor, but they were too difficult for the kids so I got out the dinosticks for the races. 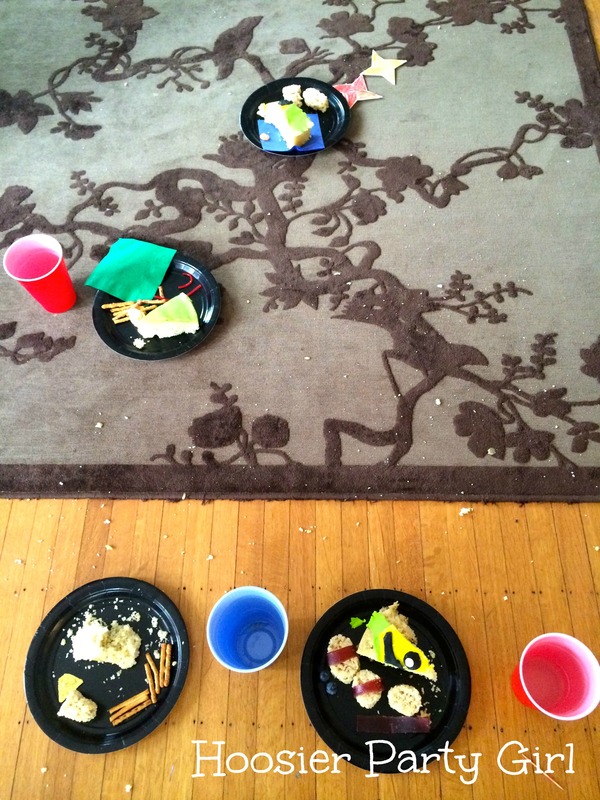 Finally, it was time to eat all of the party food! I didn’t have enough chairs, so I had them sit on the floor. This would have been the perfect time to show an episode or two of Ninjago. Yes, activities are essential for a birthday party. 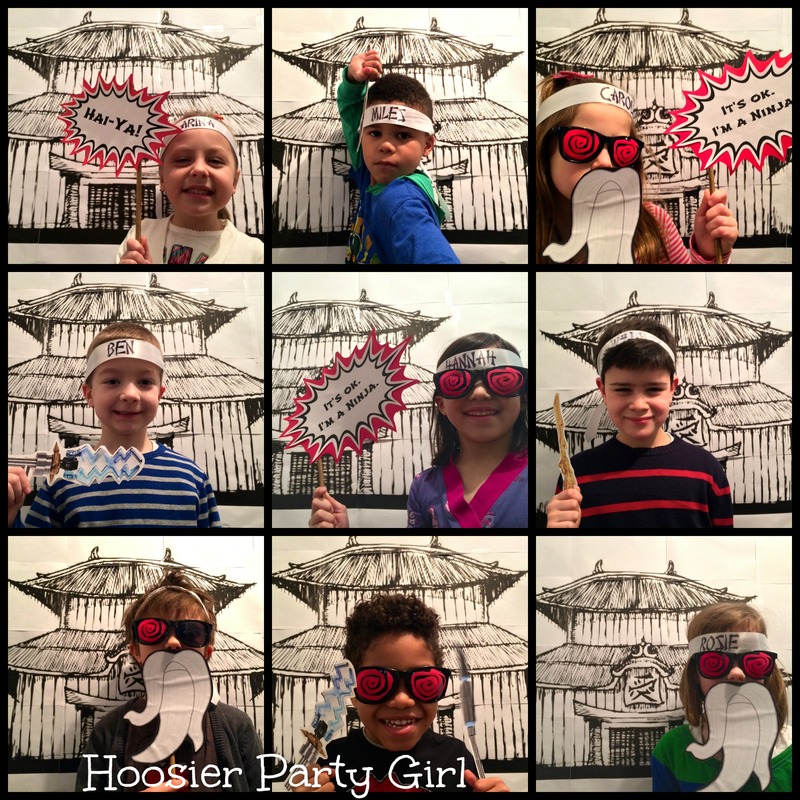 Love the photo booth idea! I can see so many ways to incorporate this. The movie not only takes a few extra minutes, but it keeps kids a little calmer during the food portion. I find less spills that way. I love the idea of the obstacle course. That would be fun for any rainy day where the kids are stuck in doors and you need something to keep them occupied. Let them design it AND try to get through it! As for the pictures, a lot of times I will take pics like that during the party and then print them out to send with the thank you cards.